Pure botanical bliss for your whole body! This rich, velvety body creme is formulated with a 70% organic blend of nature's most effective soothing, moisturizing, and restorative skincare. Immerse your skin in pure, healthy nourishment with active naturals designed to work both on, and beneath, skin's surface to hydrate and heal. 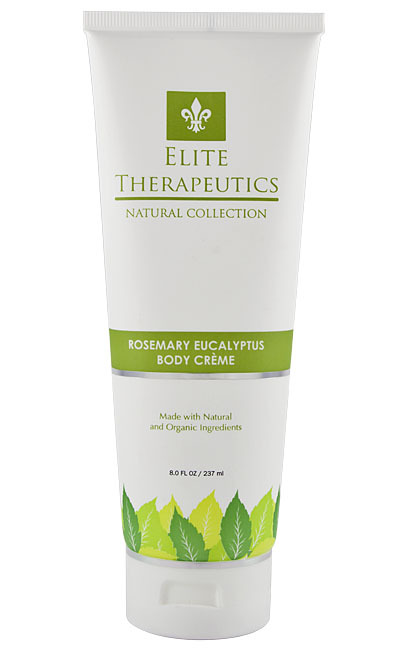 It includes rejuvenating Aloe Vera, calming Sweet Almond Oil, and antioxidant Vitamin E. It's all infused with our proprietary blend of botanical extracts, including the powerful healing properties of rosemary and eucalyptus oils, both known to help stimulate circulation and encourage healthy cellular regeneration.